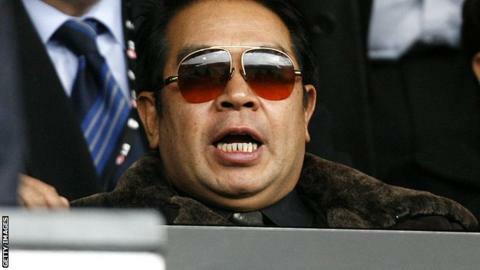 The Football League has written to Birmingham City to seek clarification over jailed former owner Carson Yeung's role at the club. Businessman Yeung, 54, was convicted of money laundering in his native Hong Kong in March and jailed for six years. He had denied laundering HK$720 million (£55.4m) through his bank accounts between 2001 and 2007. Supporters asked the Football League to investigate concerns he was acting as a "shadow director". Yeung, who has lodged an appeal against his conviction, stepped down from his positions at the club in February last year, but remains the major shareholder. The Football League's owners and directors' test prevents a "relevant person" from having any influence in a club while subject to a disqualifying condition, such as an unspent criminal conviction. However this week it emerged Yeung had requested to remove three directors of the club's parent company, Birmingham International Holdings Limited (BIHL), and replace them with three people he had nominated. BIHL has asked the Hong Kong Stock Exchange to investigate Yeung's request. A Football League spokesman said it had been in "ongoing dialogue with the club in recent months".